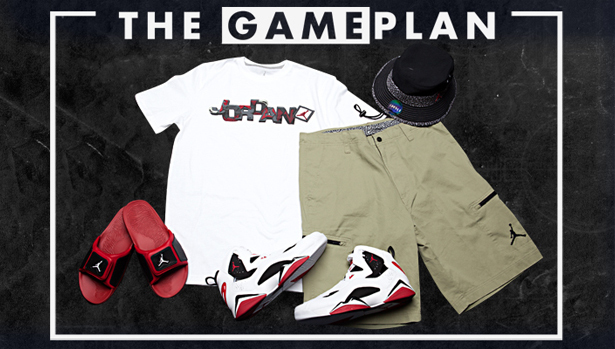 Check out the curated looks from the Champs Sports Carmine Collection for both on and off court. 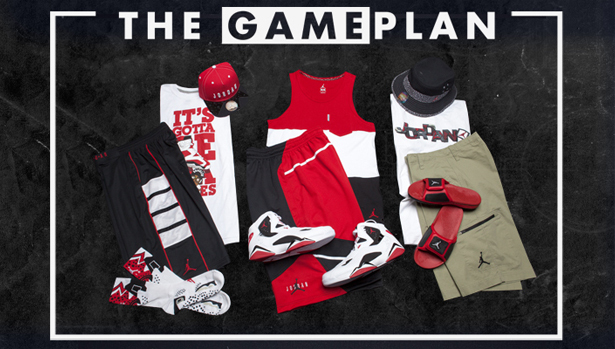 Kicking off this year’s version of The Game Plan in style, Champs Sports is bringing back a true piece of basketball history. There has been a long line of shoes that can be considered classics in the Air Jordan series. Practically every model has at least one such example, and some have a few. There are a handful of shoes in particular that go beyond mere “classic” status, and can be considered “essential.” The Carmine 6 is one such sneaker. And on May 24th, the shoe, along with an entire collection paying tribute to it, launched at Champs Sports. Check the store locator at ChampsSports.com to find your nearest retailer to cop the collection today. The Air Jordan line may have originally been designed for on-court dominance, but was adopted for casual style long ago. These days, The Game Plan is bringing you gear specifically intended for off-court wear, like an Elephant Bucket and Take Flight Short. And don’t forget the Hydro 3 Slides to wear to and from the gym this summer. 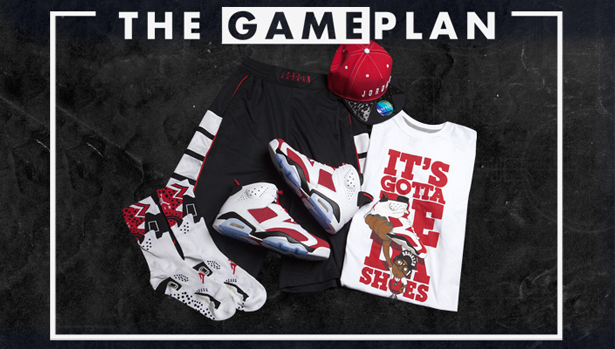 The Carmine Air Jordan 6 may have ruled the court back in the ’90s, but if you’re looking for an updated sneaker to hit the hardwood in today, The Game Plan has the shoe for you. This Jordan True Flight offers a great on-court option, and ties in perfectly to the red, white, and black jersey and shorts. Since their original release in 1991, the Carmine 6s have never re-released alone. The only chance to get your hands on a pair were as part of 2008’s Countdown Pack, when they were packaged along with an Air Jordan 17. 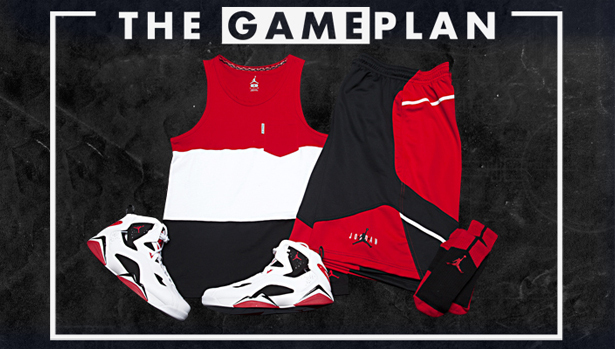 The Game Plan is not only bringing back the retro version, but a full look which also includes the First Trophy Shorts and Gotta Be The Shoes tee.